Every year, ophthalmologists – physicians who specialize in medical and surgical eye care – treat thousands of patients who suffer a range of fireworks-related injuries, from cuts and bruises to damaged corneas and ruptured eyeballs. To help reduce the number of potentially blinding fireworks accidents this holiday, the UCLA Stein Eye and Doheny Eye Institutes join the American Academy of Ophthalmology in working to debunk common myths about fireworks injuries. Sparklers are safe for young children. Sparklers burn at 2000 degrees, hot enough to melt some metals. In 2014, Sparklers were responsible for most of the injuries to children age 5 and younger according to the U.S. Consumer Product Safety Commission. 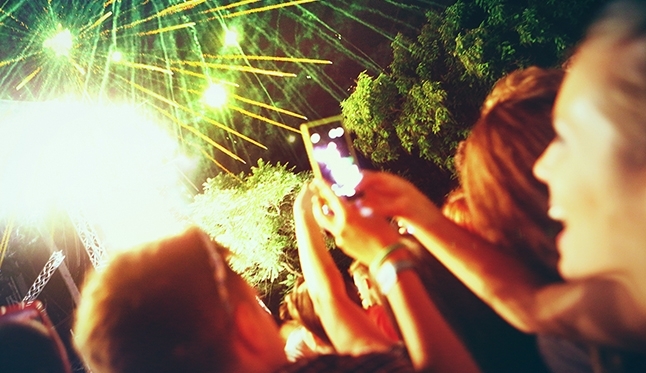 It is safer to view fireworks than it is to light or throw them. Bystanders are injured by fireworks as often as the operators. Consumer fireworks are safe. According to the U.S. Consumer Product Safety Commission, sparklers and firecrackers each account for 1,400 injuries to the eyes. It is safe to pick up a firework after it has been lit. Never try to re-light fireworks that have not worked properly. Even though it looks like a dud, it may not act like one. It’s not the Fourth of July without consumer fireworks. The Fourth can be complete without using consumer fireworks. The safest way to view fireworks is to watch a professional show. To learn how to keep your eyes healthy or to find an ophthalmologist near you, visit uclahealth.org/eye.